Dad | Where Is Annie? My dad died in his sleep this week. He was done. He had been too weak to walk so went everywhere in a wheelchair. He slept most of the day. He had Parkinson’s and had lost his sense of smell and his sense of taste. His days were filled with doctor appointments, protein shakes, and dialysis. He was so tired. When his brother died last summer, my dad was jealous. The night he died Mom spent a long time telling him how much she loved him. She had to help him pull in feet into bed. He fell into a very deep sleep. So deep he couldn’t wake up. 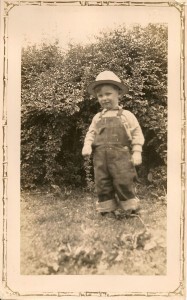 In 1943 my dad worked for the railroad. He was 17. He worked the nightshift at a switch station. During that time, for some unknown reason, he developed glaucoma. He lost his right eye. In 1944 he turned 18. He should have been drafted and sent to battle in Germany or Japan. 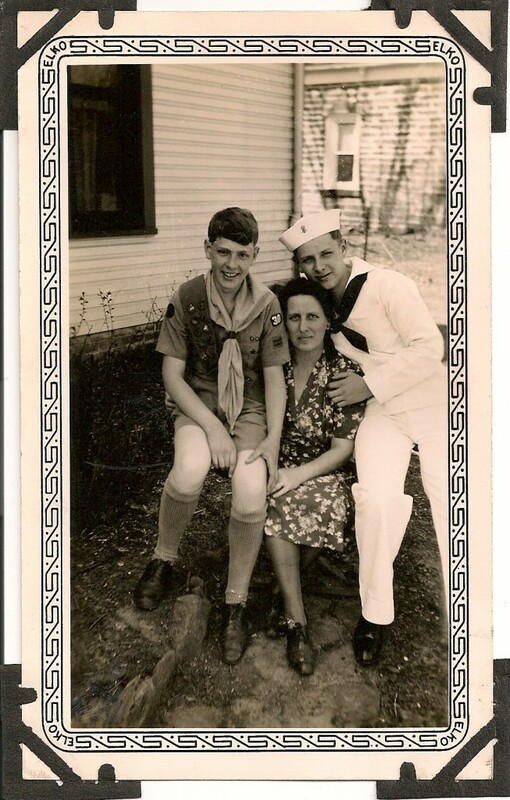 He had worn uniforms as a boy scout, a sea scout, and an eagle scout, but he wore never a military uniform. He was 4F, and that saved his life. He was not a fighter. Years later when he and my mom were crossing the street, a car zoomed past them in the crosswalk. My dad tapped the rear fender with his gloves. The driver screeched to a halt, climbed out the car, and towered over my father. He grabbed Dad by the collar, lifted him off the ground, and started shaking him. It was my mom who started pounding the mean man on his back with her fists. My dad didn’t even clinch his fists. I found out Dad had only one eye when I was just a little kid. My brother, Steve, my dad, and I had gone swimming one hot, Iowa summer day. I found my brother and father pacing the shallow end of the pool. “What’re you doin’ ?” I bounced up. “Looking for Dad’s eye,” my brother responded. Now, my brother had teased me nonstop all of my short life. This time I was not going to be a sucker. I knew they weren’t looking for his eye. Finally, after I had pushed and pushed for the real answer, Steve said, “Show her, Dad.” My dad opened his eye, and sure enough the blue iris was not there. Then I believed my brother. They did find the glass eye at the bottom of the pool that day. I can’t imagine what it would have been like for another swimmer to look down and see an eye staring back up. 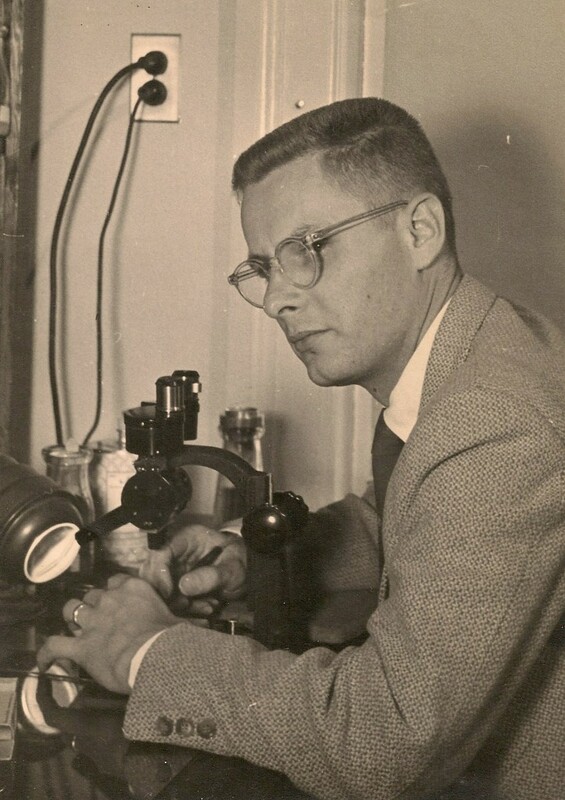 My dad was a scientist, a geneticist. He moved to Berkeley to begin his doctoral work in 1951, the same year that Watson and Crick found (some say stole) Rosalind Franklin’s x-ray crystalographs and figured out the double helix structure of DNA. It was a blossoming science, attracting scores of budding scientists. 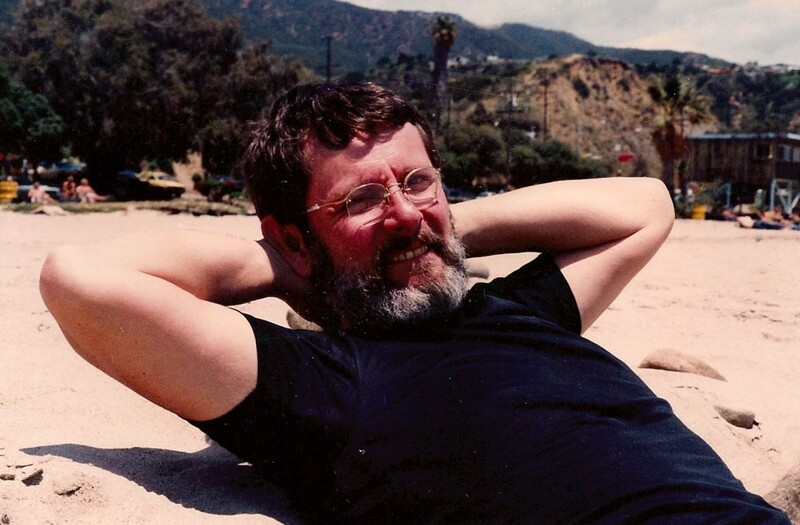 Like many other geneticists of the time my dad chose fruitflies for his experiments. Dad’s lab was wall to wall fruitflies, stored in small vials with a layer of nasty smelling, yellow-brown fruitfly food at the bottom. He would put the flies to sleep with a can of ether then dump them onto a plate so he could examine them under a microscope. The microscope had two eye pieces. My dad only needed one, but the better microscopes always came with two. When Dad no longer had use for the sleeping batch of fruitflies he would exterminate them. Next to every microscope was a large coffee can full of oil. He would dump the flies into the oil. Over time a mountain of greasy, tiny flies would accumulate. I never found out what happened when that mountain reached the rim of the can. 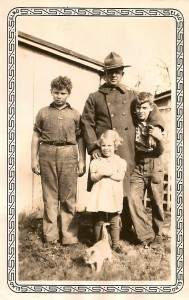 At times we had to help in the family business. 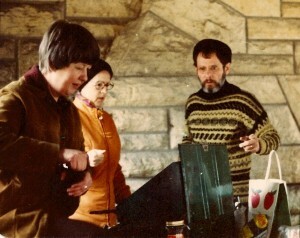 My mom would often head to the lab with my dad to help out sorting sleeping fruitflies. My older brother, Jym, followed dad to the lab as well and eventually followed him in his career as a geneticist. My father would employ all of us to catch “wild type” flies. We used a barbaric contraption. We held a glass vial in our hands. The vial had a rubber stopper, and out of the stopper came two bent glass tubes facing in opposite directions. One of the tubes had a rubber hose which we put into our mouths. We placed the other tube near the fruitfly and … sucked. The fruitfly ended up in our trap, sucked into the vial. 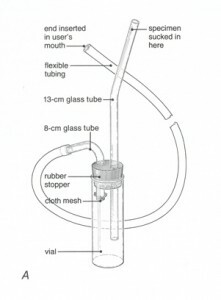 The tube that was connected to our mouths had a screen over the bottom part so we never found ourselves sucking a fly up into our mouths. I remember trapping fruitflies over rotting fruit at a stand in Iowa and over cactus after we’d moved to Arizona. We moved to Arizona at my mom’s insistence. We were trying to find a place where she could escape her headaches. My dad took a sabbatical from the University of Iowa and left my older brother in Iowa City. We first lived in the outskirts of Tucson. 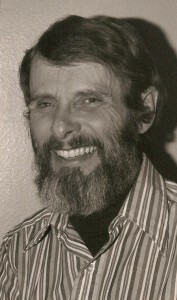 My dad taught at the University of Arizona for a semester. We lived in a 14 foot wide mobile home. The next summer we left my other brother in Tucson and moved to a small fishing village on the Olympic Peninsula. 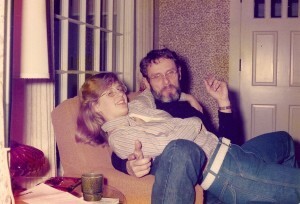 My dad taught at the University of Washington, and we lived in a VW bus and a polka dotted tent. That autumn, my parents moved the mobile home to Apache Junction, Arizona, and the three of us spent the next school year there so my dad could teach at Arizona State. My dad couldn’t do much of his research while he was on sabbatical. But he continued to teach. He had his PhD. He was a professor. He was the classic absent-minded professor. He forgot things, lost things, and broke things. Maybe some of it had to do with having only one eye. He would trip when he couldn’t distinguish the variations in the sand or on the pavement. He totaled a couple of cars that were coming from the right, but still he was Dr. Mohler. When someone first called me Dr. Mohler, it didn’t fit. Dr. Mohler was the person the students called after dinner for help with an assignment from zoology class or the name a graduate student would call out during a department picnic to get help with the roast pig. It took awhile before I could fully assume my father’s title. 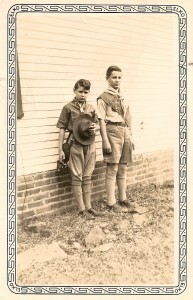 I was twelve when we first moved to Arizona. I became a teenager during those tumultuous times. Along the way we left my brothers to go to college, and I became an only child. I became a daddy’s girl. I loved playing with my dad. When we finally moved back to Iowa, we got season tickets to the ballet. We had really good seats in the balcony. We saw Alvin Ailey, and we saw Les Ballets de Trocadero de Monte Carlo. Before we left for the theater we would agree whether we were dressing up or down. I’ll never forget sitting next to the ladies in their furs while we worn jeans with holes in them. I bonded with my dad rebelling against the norms. 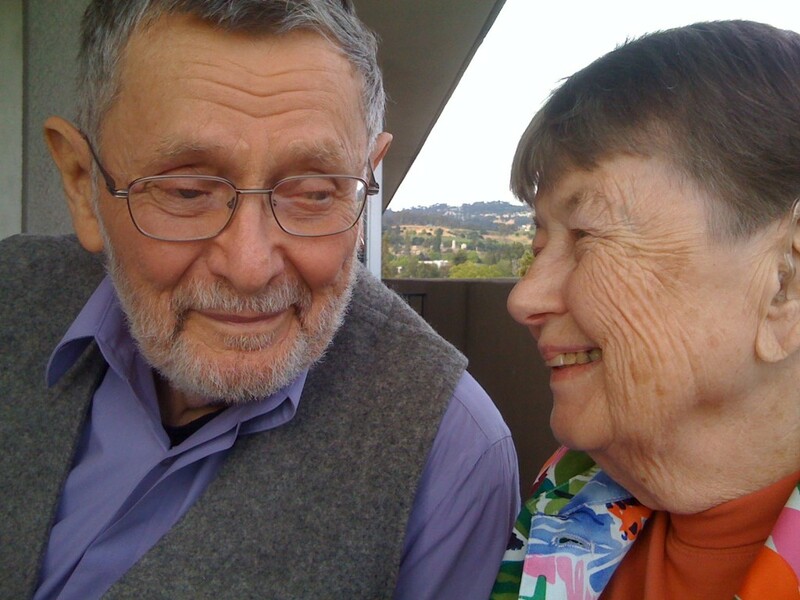 When Dad moved to Oakland from Oregon he was about 80 years old. I wasn’t surprised to see he had pierced his ear. He wore a single, small gold loop in his left ear. Still bucking the norm. Dad had studied zoology in college at the University of Missouri. He loved nature. We spent hours outside, hiking and looking at the flora and fauna. He often carried a flower guide and a bird book in his hands and binoculars around his neck. The eye pieces were never focused together. 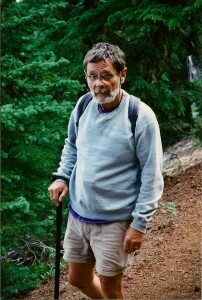 He took us hiking in the woods of Iowa, the desert of Arizona, and the forests of Oregon. When it was cold he wore a black stocking cap my mother had knit for him. 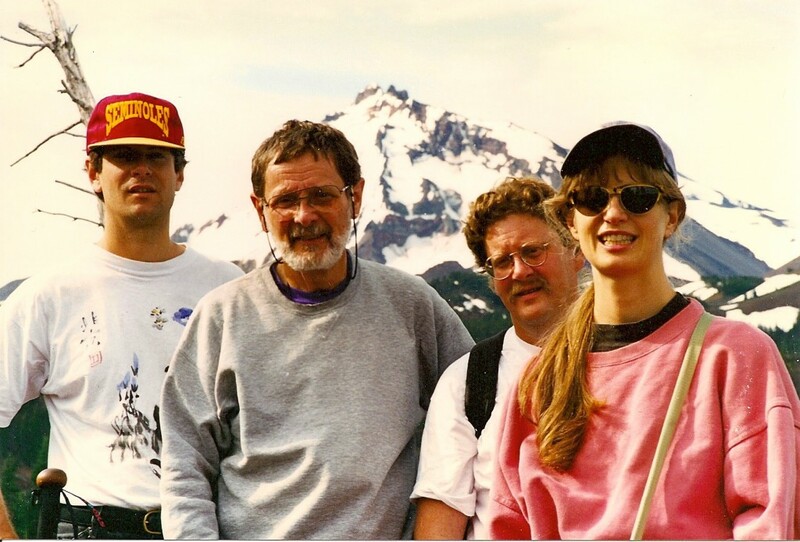 When I was seven months pregnant with Hank he took us hiking past the douglas fir covered in moss and ringed by giant ferns in the rain forest along the coast of Oregon. He outpaced me and was soon far ahead. When I caught up I suggested we go back to check on Mom. I couldn’t admit he’d whipped me. For a while my parents kept a trailer near Bend, Oregon. 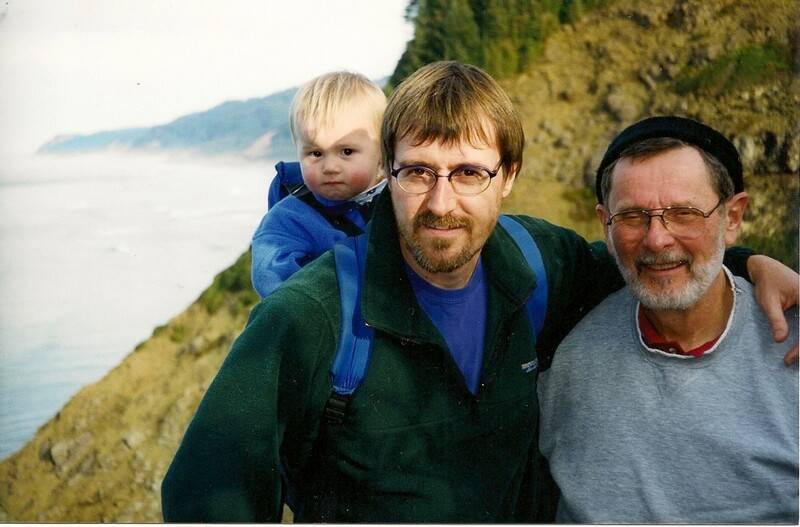 Hiking was Dad’s passion. In the mountains of the Cascades we found blackberries in a burn area, so much sweeter than any I’d ever tasted before. Hank was a toddler in my backpack. He relished the berries Dad gave to him his lips turning purple. When Hank was born the first thing we noticed was a dimple on his chin. And we saw that his head was far more round than either Bill’s or mine. We couldn’t figure out where he got those features. He didn’t look like us. Then when Hank was two and a half months old we visited my parents. As we met Dad at the door both Bill and I, without saying a word, started laughing. There was that head. The chin was lost under the beard, but my dad swore he gave Hank his dimple. And Hank doesn’t have a nose like either Bill’s or mine. Now I know where it’s from. It’s genetic. My parents marriage survived raising three kids, sharing living space in a mobile home, a VW bus, and a polka dotted tent, headaches, and several broken glasses and crashed cars. 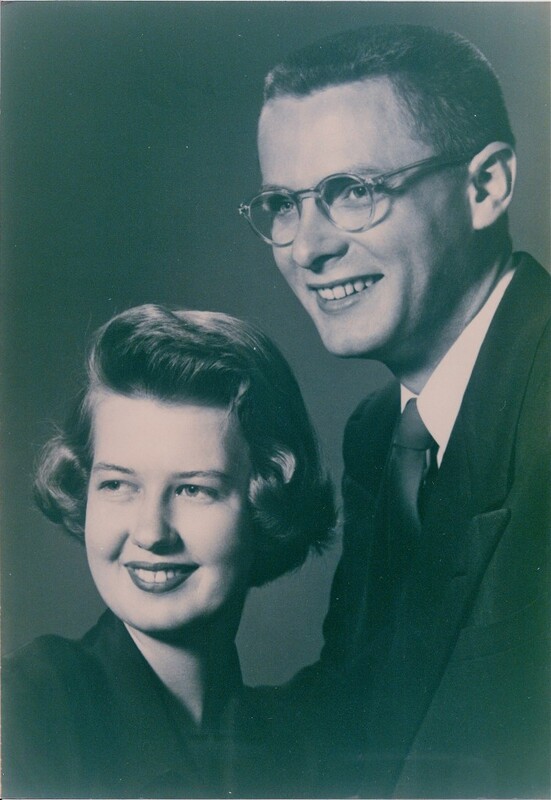 In fact, over the years Mom and Dad fell more deeply in love. 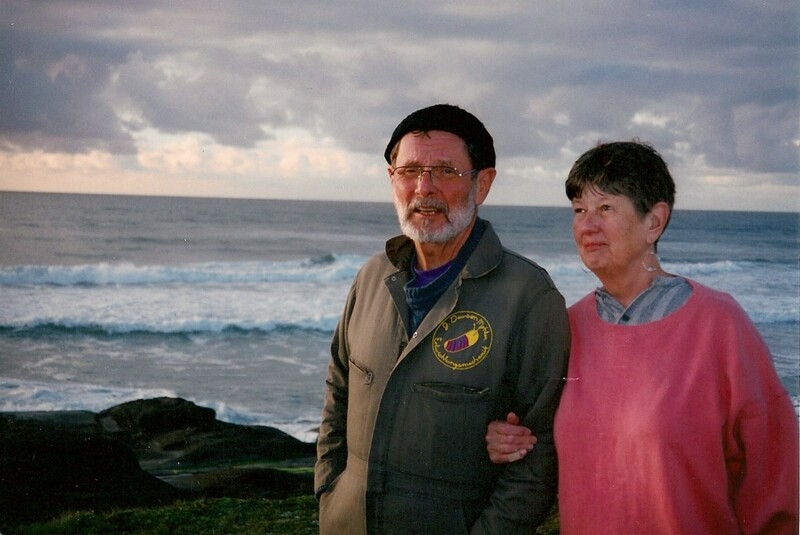 When Dad retired they moved to a one room house in Waldport, Oregon. They lived there for 17 years. The new house only had space for two twin beds which were lined up head to head along a wall. They spent their nights in one bed together, spooning. When they moved to Oakland, they got a double sized bed. They continued to spoon. They spooned in bed for 61 years. In high school I took a photography class learning to take and print black and white photos. Dad was one of my subjects. I had one spot light for lighting. It cast deep shadows across his brow, his sculpted nose, and his high cheek bones. His hair was dark, but his beard was grey. I submitted the photo as part of my final project in the class. My classmates didn’t like it. They said it made him look too severe. My teacher said, “Have you ever seen her dad? That’s what he looks like.” But he wasn’t a severe man. A friend of mine wrote in his memory, “He seemed gentle and kind with eyes that had a gentle twinkle.” He was gentle. He was kind. But he only had one eye. It was crystal blue, and it did twinkle. Oh Annie! I’m so sorry! 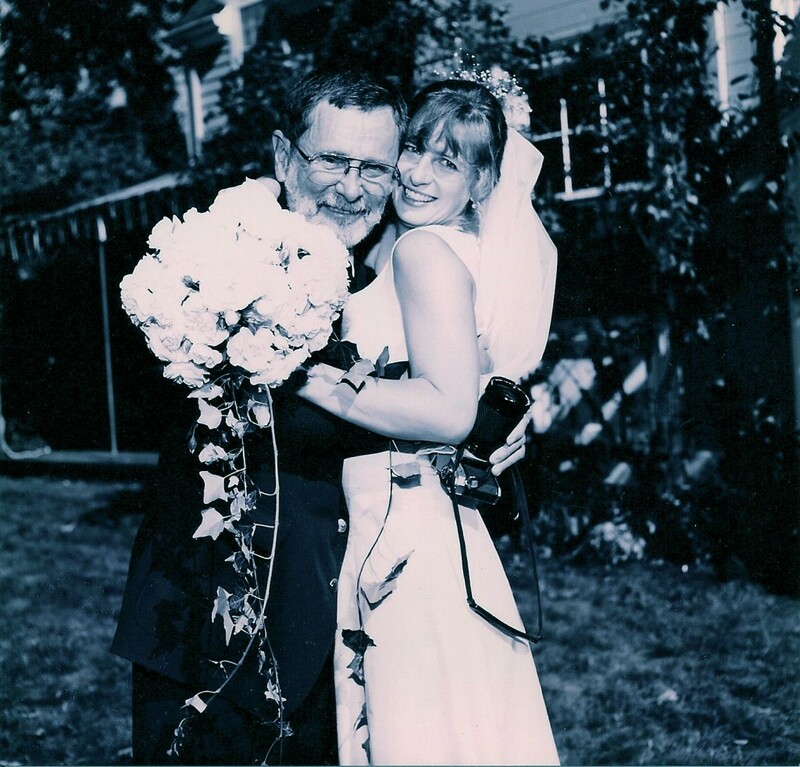 You’ve written a beautiful tribute to a great dad. Love to you. I have very fond memories of your parents. Whenever I drive by your house, it is always the Mohler house. Will always be the Mohler house. I loved visiting your house. The adventures we would have. The bird christmas tree on your porch has always been on my mind as a way to keep feeding the birds in winter. This next christmas, I will put extra goodies our for the birds in honor of your dad. I told you awhile ago that I always will remember the ducks you guys would have on your porch. How fun it was to play with them. I also remember hiking with your family at the Coralville Lake. The pancakes were as big as the pan! As I grow older, what I cheerish most from my parents are the values they have raised me with. Those values are pasted forward in my children and now grandchildren. I also think how fortunate we are that we had our parents and our parent’s friends who help share adventures, taught us good lessons in life, and as a village-they helped raise us. You and your family are in my thoughts. Your memories are so sweet. I have goosebumps. Thanks, Ginger. Enjoy the birds this winter. I miss the cardinals. Thank you for sharing the well-written story of a well-lived life. The adjectives that echo through the FB comments make a fitting epitaph for the man. Sad to hear that it was such a struggle toward the end, but at least his passing was peaceful and easy. Love and light to you, your Mom, and your family. Du hast so schön über Dein Vater geschrieben,sogar habe ich in Englisch gelesen. Er hat aber kein Schmerzen, kein Pflegefall DAS geschafft!! !